When it comes to investing, most people think of two different asset classes: stocks and bonds. It’s important to understand the differences between these two asset classes if you want to be a more effective investor. At the most basic level, stocks represent a degree of ownership in a company. Bonds, on the other hand, essentially amount to a loan given to an entity. Investing in bonds can be a smart way to move forward, since they provide you with the chance of return, but are considered a little less volatile than stocks, and are often considered safer. Understanding how bonds work, and how they can fit into your portfolio, is an important part of creating a good investing plan for the future. A bond is basically a loan. You loan money to an organization, and the organization agrees to repay the principal borrowed, with interest. This organization can be a government, a non-profit organization, or a for-profit company. Many governments, from cities all the way up to international sovereign states, offer bonds as part of their funding efforts. Companies large and small also offer bonds. 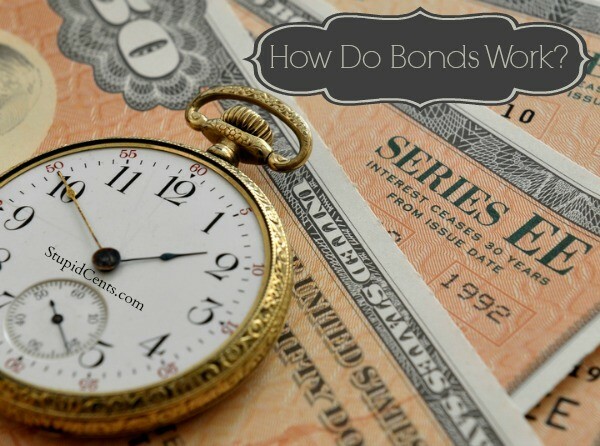 Most bonds come with specific term lengths. You might buy a 10-year bond. This means that the organization you bought it from can use the money for 10 years. At the end of the 10 years, the principal is returned to you. It’s also possible to buy bonds with terms as short as three months, and as long as 30 years or more. However, this is not all. You also receive interest. The entity pays you for the privilege of borrowing money. You might even receive regular payments over the life of your loan. The interest is often paid quarterly, semi-annually, or annually. You receive the interest throughout the bond’s term, and then the principal when the bond matures. There are cases, though, in which you don’t receive the interest until the bond’s principal is repaid; then you receive the entire amount all at once. Make sure you understand the terms of the bond before you invest. Also, understand that, because bonds are loan, those who borrow from you can default. Even countries have been known to default on their loans, leaving bondholders without future interest, and with a loss of principal. How Do Bonds Work in Your Portfolio? It’s important to note that bonds are considered relatively safe by many investors. U.S. government bonds are considered among the safest investments in the world. As a result, they can make great instruments for capital preservation. Even corporate bonds are considered fairly safe. You can read up on bond ratings to see which are considered the safest. However, the reality is that an investment that is considered safe doesn’t always come with the highest rate of return. Bonds pay fairly low yields, which means that it’s difficult to adequately build wealth when you invest in bonds. You can see better yields if you are willing to take the chance on riskier bonds, such as those from emerging market countries or companies with low bond ratings, but you also risk default, and losing some of your principal. As part of your portfolio, bonds can provide you with some income through the interest that is paid, as well as a degree of safety. If you are careful to choose your bonds for their ability to beat inflation, you can avoid losing your purchasing power to the ravages of inflation. Many investment professionals recommend that you start out with a greater emphasis on stocks, building your wealth over time. Then, as you get close to retirement, you can use some of your earnings from your stocks to buy bonds that can provide you with more reliable income during retirement while preserving your capital. I was looking for information concerning investing in corporate bonds and came across your web site and your explanation of government and corporate bonds and found your explanation to be the most concise and informative. Recently the CEO of a company in which I own over 100,000 shares of stock offered me the opportunity to purchase corporate bonds in the company. The bonds are for one year, pay 12 percent interest and are convertible directly into shares in the company after one year. The cost of the bonds is $1.25 and the price the stock is currently trading is $4.20 a share. I purchased my shares at an average price of less than $1.00 a share. I have a large profit and haven’t sold any shares. The company is currently trading on the pink sheets and will be trading on the NASDAQ before the end of 2013 or in early 2014. I was told by the CEO there are five large investment firms in New York which want to buy large blocks of shares in the company. The CEO hasn’t yet decided which investment firm to choose to trade the shares and he will chose only one to do so. The company recently paid off all its debt with cash. The company has profits every quarter and uses the profits to expand productivity by purchasing more machines to increase production and every new machine will increase profits as more of the product is sold. The product the company sells trades in a world- wide market and there is a strong demand for the product the company sells. The reason the company is offering current shareholders with large amounts of shares is to give thanks to the investors for taking the company from a penny stock to a dollar plus stock and not dumping their shares. There are seven large investors as myself and we seven own the majority of the shares in the float and we are all being informed by the CEO of what the company is doing and we were all asked in the beginning if we will hold our shares and not sell them. We are all coordinated and cooperative in this and the seven of us own more than ninety-eight percent of the float. We were also informed the company will not be issuing more shares to the public for trading because the company doesn’t need to issue more shares to raise money for corporate expansion or salaries. I’ve never come across a company that offers a one year corporate bond paying 12 percent interest with the $1.25 paid for each unit of the bond being convertible to common shares in the company after the one year the bond is held. I won’t give you the name of the company as were I to do so it’s possible someone may attempt to buy shares and find they won’t be able to unless they buy from the seven large shareholders who won’t sell to them until the stock is trading on the NASDAQ and until the bonds purchased are converted to shares. My question to you is. Do you think there is something I may be overlooking that I need to consider before I purchase the corporate bonds other than that which I’ve informed you of?